Boxing's violent. That's pretty much the point of boxing - organized violence. Oftentimes, it's so violent that someone gets knocked down and can't get back up for a considerable length of time, resulting in victory for the other fighter. These instances are, in fact, so common and woven into the fabric of the sport that they are an official statistic listed in every boxer's record. Wins-losses-draws-knockouts. That's the quickest way to measure a boxer. And photographers - they take photographs. It's right there in the name of the job and everything. Sometimes, these photograph-taking photographers attend boxing matches, where it is then their job to take photographs of that very boxing match. And given that so many matches end in knockouts, part of this photographer's job will therefore be to take photographs of the knocked-out fighter, perhaps even as the fighter is lying on the canvas, still knocked out. 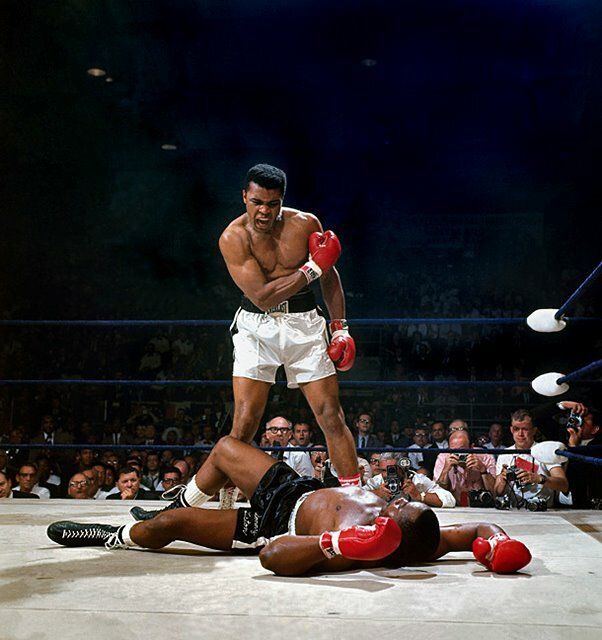 Some of the most famous photos in boxing history have documented this, in fact. Bello said Pacquiao adviser Michael Koncz and assistant trainer Buboy Fernandez were punching and kicking at Bello as he was trying to photograph Pacquiao, who was face first down on the mat. Bello jumped off the apron in an effort to avoid confrontation with the men. Koncz told Yahoo that what happened was a "miss understanding [sic]," and "not an assault." Hell of a miss understanding - both for the extent of what they did (which sure looks to my eyes like assaulting Bello), and the fact that what they miss understood was a goddamn photographer taking goddamn photographs. But maybe we should all cut Team Pacquiao some slack: like Koncz said, this all happened "in the heat of the moment." And when things get stressful, who among us hasn't started grabbing and kicking at people who aren't doing anything to us? Chalk this one up to ol' human nature.